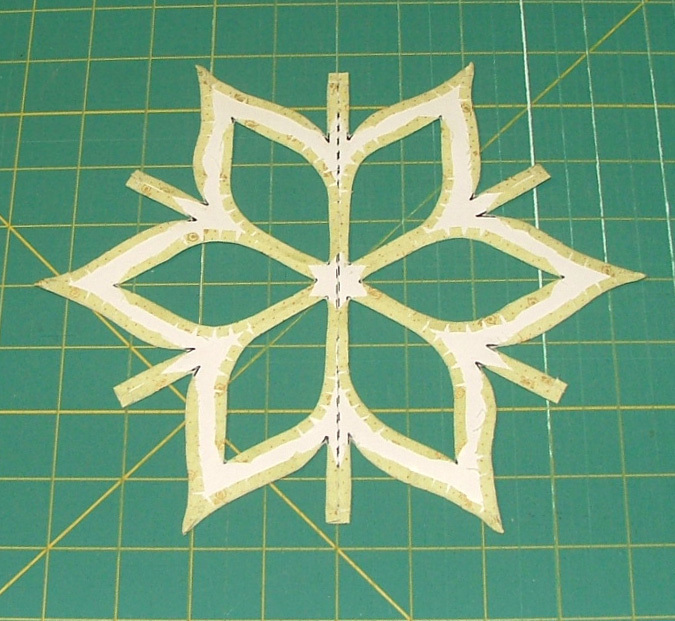 There are four ways that I have used glue sticks in the quilt-making process. Two I use frequently with hand appliqué, one I employ occasionally for basting, and one I discovered while experimenting with a decorative edge finish. Let me tell you how I use glue and about my favorite new product for the job: Lapel Stick. I should preface my remarks with the fact that I don’t particularly like using glue. I detest sticky fingers and am concerned about keeping my sewing work areas clean. I have found glue sticks to alternately come out in clumps or in long gooey strings like melted mozzarella. But there are times when a glue stick comes in handy. I prepare circles for hand appliqué by taking a running stitch in the seam allowance, gathering the circle around a template, and pressing with liquid starch. Often these circles are too small to pin or the pin would cause too much distortion. I use a glue stick to hold the prepared circle in place on the background fabric while I stitch it in place. 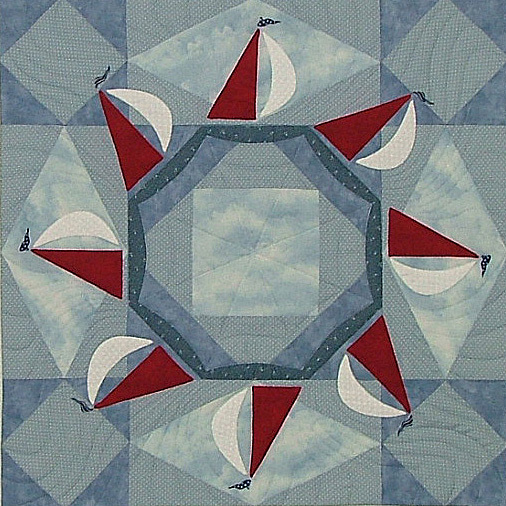 Some appliqué methods involve basting seam allowances to freezer paper, which can be done with thread or glue. 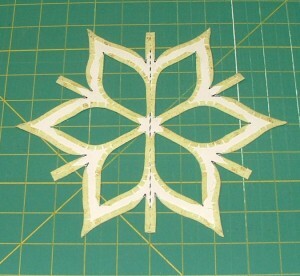 The glue stick must be water-soluble in order to remove the freezer paper once the appliqué is complete. This is a very sticky job, although the Easy Edge Appliqué Tool really helps. My quilt Flourish on the Vine has a decorative edge finish of half-inch clamshells. They were attached to the quilt with a knife-edge finish, but I needed to come up with a way to hold hundreds of tiny half-circles in place before sewing. I used the Lapel Stick to temporarily glue the clamshells to strips of tear-away stabilizer. After the clamshells were stitched in place and the stabilizer removed, a light spray of water easily removed any glue residue. This was the first time I tried Lapel Stick and I was impressed: no clumps, no gooey strings, and hardly any sticky fingers! Lapel Stick quickly replaced the glue stick in my appliqué kit and I have enjoyed using it to hold fabric circles in place and to line light-colored patches. I haven’t done any glue-basting lately, but I will be sure to try Lapel Stick when I do. You can purchase a 3-pack of Lapel Stick for $15 from their website or search for a retailer near you.